1. head on over to for the love and let me know what your favorite item is. winners chosen by random.org and announced thursday. happy my favorite things monday! The zig & zag quilt is gorgeous! And patterns would be most welcome as we're starting bedroom makeovers for the girls soon. Thanks for the chance! I adore the zig zag quilt! My fave item at "For The Love" would probably be the Zooey pattern. I love the zig zag quilt. Liked for the love on FB! mmm. LOVE that zig zag quilt. I love theses quilt designs. I need to branch out from the basic square or strip quilt and these are simple and so lovely. 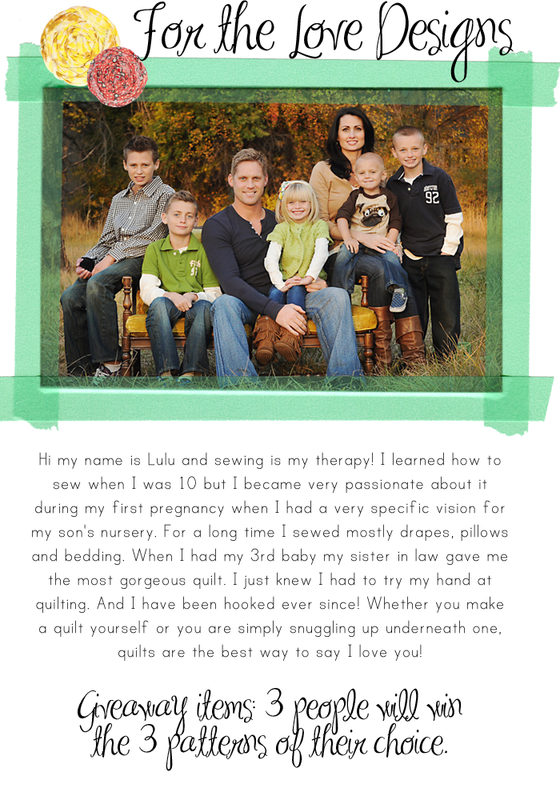 The Zig Zag quilt is definitely my fave in Lulu's shop! 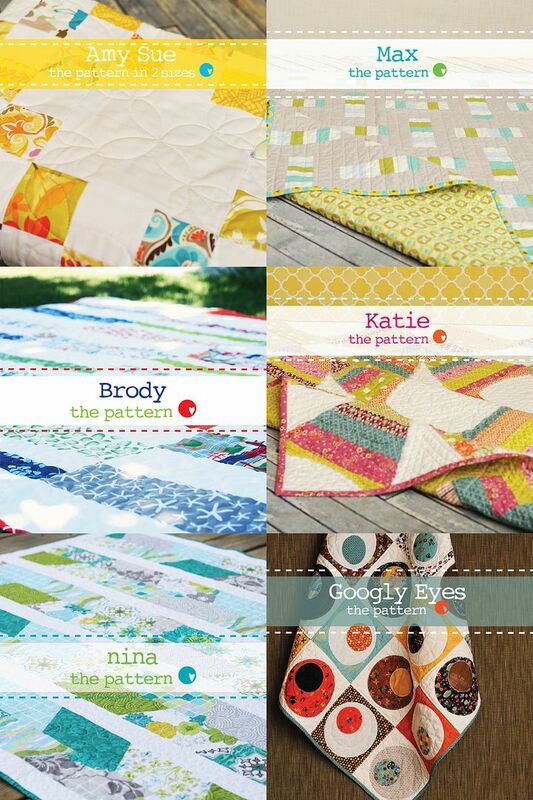 i am making it my goal in 2012 to sew a baby quilt for my daughter - these are adorable! thanks for the chance to win! just liked for the love on facebook! i love the zig zag quilt - beautiful!